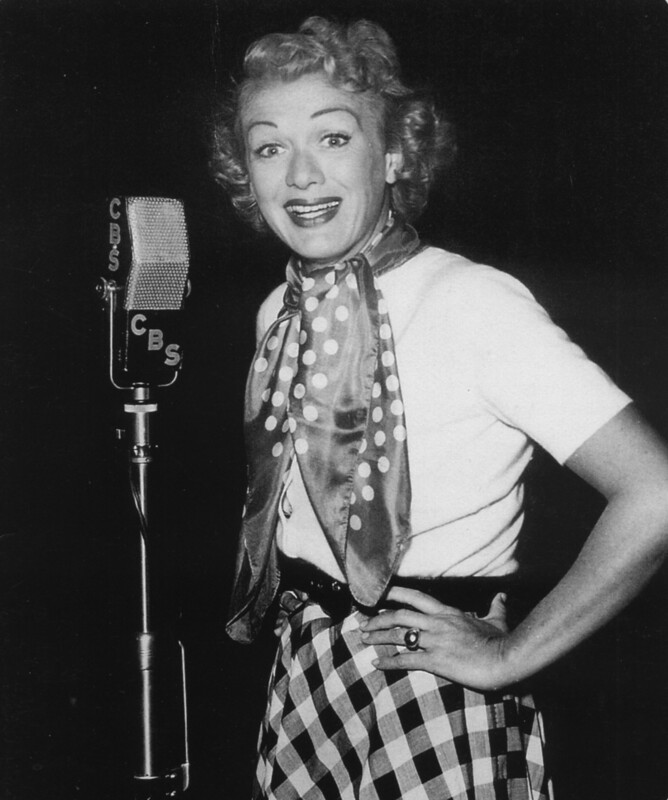 In an era of radio that was filled with stereo types, Eve Arden managed to rise above them as her own woman and developed on of radio’s best loved characters. 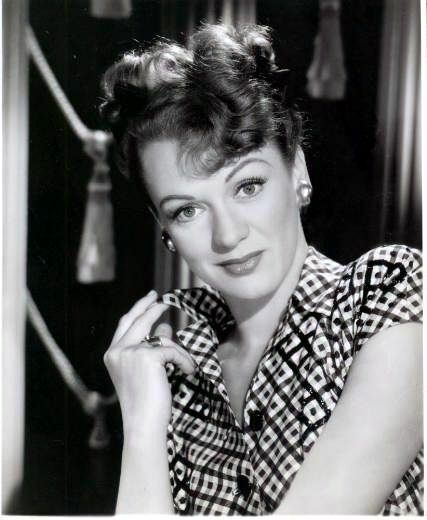 Eve Arden, who was born Eunice Quedens, related that she had an unhappy childhood. She was torn between divorced parents and continually self conscious about her looks (she claims to have needed therapy because her mother was so much more beautiful than she was). Probably her best therapy was to join the magical world of show business. She quit school at the age of 16, joined a touring company, and changed her name (taken from a jar of cold cream on her dressing room table). Whatever insecurities she may have faced as a child, Eve Arden carried herself with the undeniable swagger of a depression era business woman or highly desirable sophisticate. During the early part of her film career she was often cast in supporting “second banana” roles. Eve Arden would be the sensible friend who took the leading lady by the shoulders to tell her to “snap out of it” or she would play the smart mouthed but sophisticated comic relief. 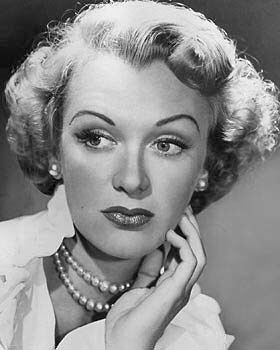 No matter what character she was called to play, she unabashedly played Eve Arden. Arden made a number of friends and connections while a starlet, which would serve her well later in her career. While working on Stage Door (1937) she became good friends with Lucille Ball. When the movie was adapted to radio’s Lux Theater, stars Ginger Rogers, Rosalind Russel, and Adolphe Menjou appeared, but Arden, who had made a career out of snappy comebacks, stole the show and proved that she was a natural for radio. Her first regular radio role was again the sensible second banana to contrast the lead’s zaniness on the short lived Danny Kaye Show. Arden and Kaye were long time friends, and had carried on a discreet affair for years. In the end Danny was unwilling to leave his wife, and the professional collaboration came to an abrupt end. Arden was too tough to be knocked down, and soon landed what would be her best known role. CBS wanted to develop a comedy around a “smart” female character, and the role was offered to Lucille Ball. Lucy was already committed to My Favorite Husband, but recommended her old friend Eve Arden. The project became everyone’s favorite high school teacher, Our Miss Brooks. The show trod over several stereotypes. The teachers in typical teenage comedies like Henry Aldrich, Archie Andrews, or A Date With Judy existed to make life miserable for the kids. Connie Brooks was young and attractive enough to be a confidant, but mature and respectable enough to be taken seriously. She was just man-crazy enough to hold a continuing flame for her absentminded science teacher boyfriend, but tough enough to stand toe to toe with her stack-blowing principal Osgood Conklin, played by Gale Gordon. Our Miss Brooks had a nine year run on radio, and was thought to do enough to humanize the portrayal of educators that Arden was awarded an honorary lifetime membership to the NEA. When the show made the transition to television, production was turned over to Desilu Studios, the production company belonging to Lucille Ball and her husband. Arden returned to “educational comedy” in the 1978 movie musical Grease. She played the role of Rydell High School principal as a female parody of Gale Gordon’s Osgood Conklin. Eve Arden has been honored with a Star on the Hollywood Walk Of Fame at 6714 Hollywood Blvd for her work in Television, and for her contributions to Radio at 6329 Hollywood Blvd. This entry was posted in Ginger Rogers and tagged Adolphe Menjou, Eve Arden, Ginger Rogers, Lucille Ball, Lux Radio Theater, My Favorite Husband, Our Miss Brooks. Bookmark the permalink. Thanks for this wonderful write-up, and as well, thank you Eve Arden for all you did and left for us! I will always love your “tart-tongued” comedy! Thank you! !